Can you believer we're only about two and a half weeks away from the big day? Reality has finally set in for me, so now I'm trying to pick up the last few gifts and get my house ready for all my family and friends. Part of getting the house ready is the decorations, and this 12in x 12in altered tile is the perfect addition to my decorations. 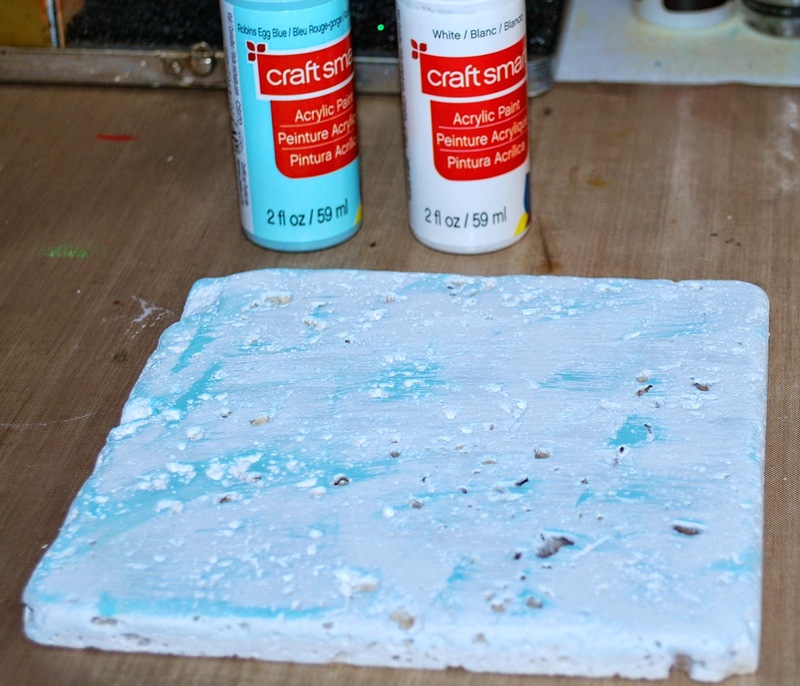 I started with painting the entire tile with a light blue and white acrylic paint. 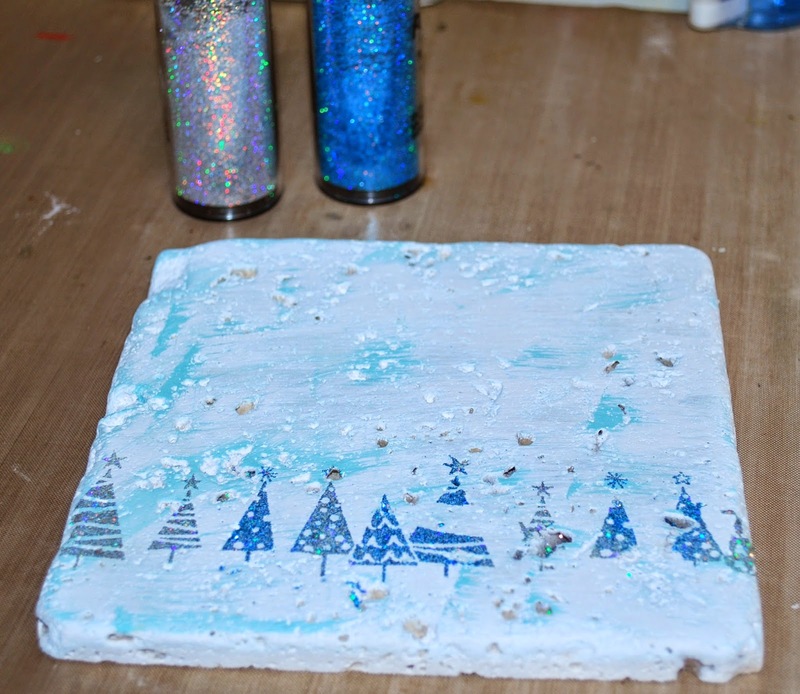 Once the paint was dry, I rub on a design adhesive strip then layer on the silver and blue glitter. 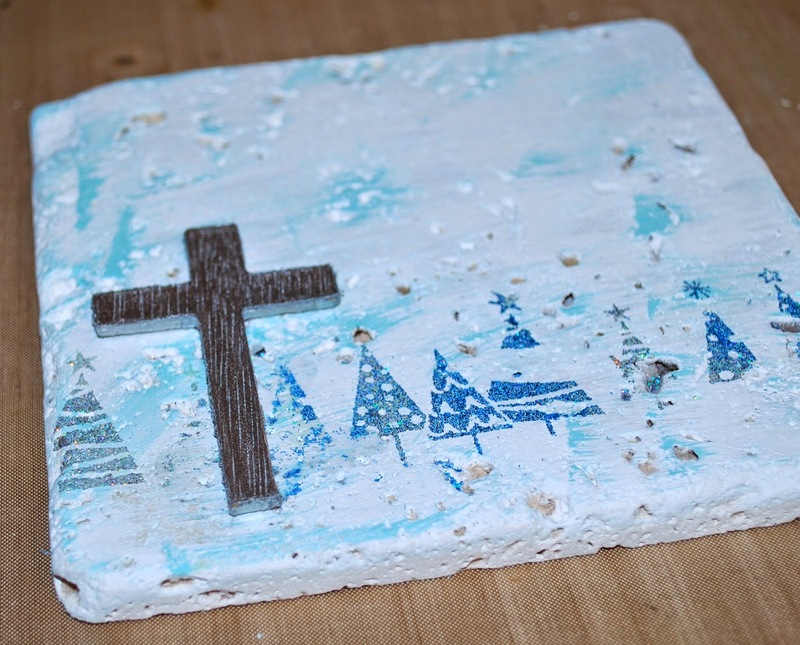 Next, I paint a JnW Crafts cross with a silver paint pen and added a few dots of Stickles, then adhere it to the tile. 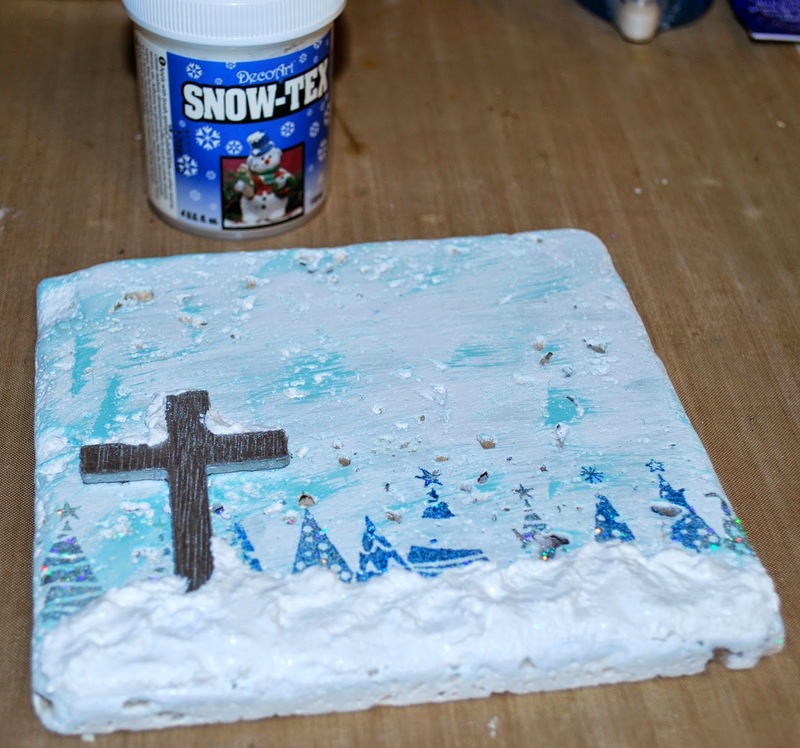 To finish up the winter scene, I add on a bit of Snow-Tex and set the tile aside to dry. 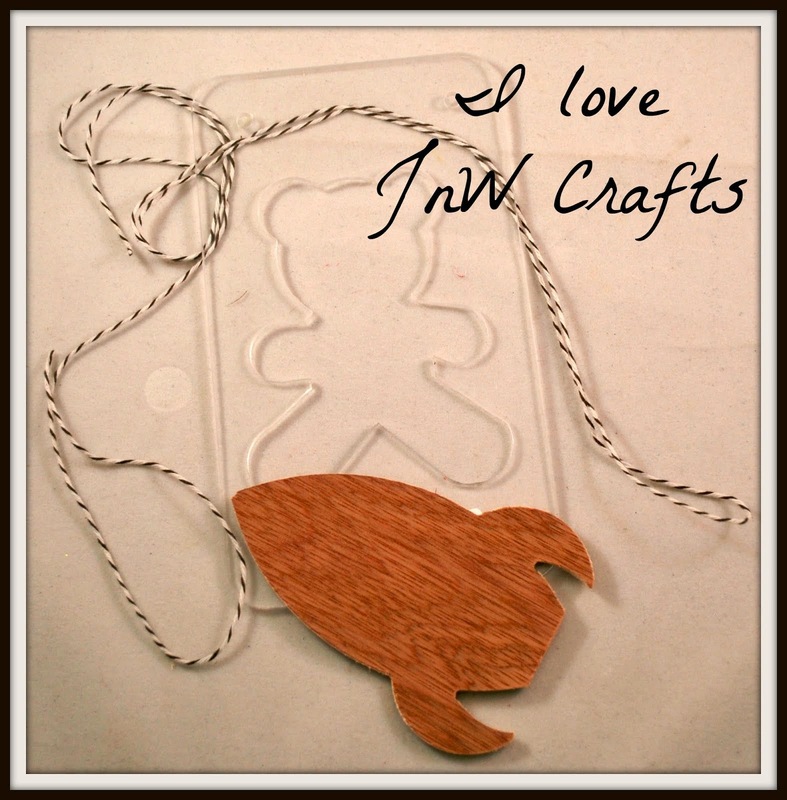 To finish the tile, I added a bit of trim and the sentiment. 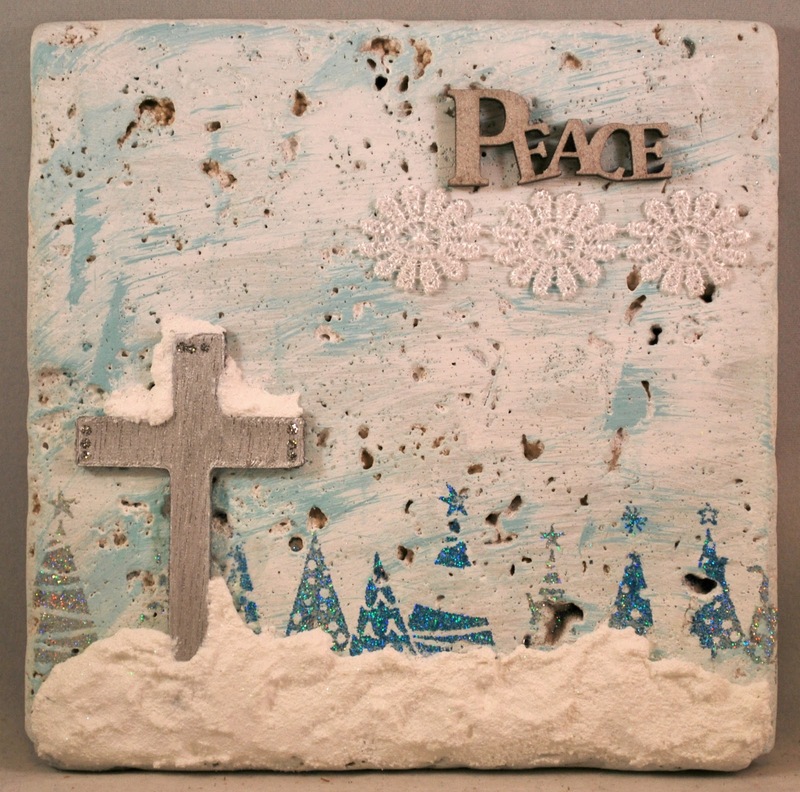 Nestled amongst all of my snowmen, this tile will add to wintery feel.